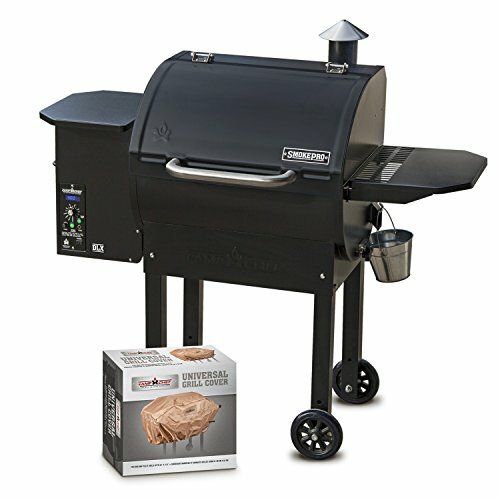 This page gives an overview of all the BBQ gear that I use regularly for grilling and smoking. If you have any questions about my experience with these items, feel free to contact me! The Camp Chef DLX PG24 has been my primary smoker for a little over a year, and I’m absolutely loving it. It’s such a joy to just set a temperature and have the smoker take care of the rest. It also has a couple of really handy features, like the ash clean-out system and the hopper purge, which makes it easy to swap the pellets. It generally gives a mild dose of smoke, which is great for longer cooks, but it also has a “high smoke” setting if you really want that smokey flavor. 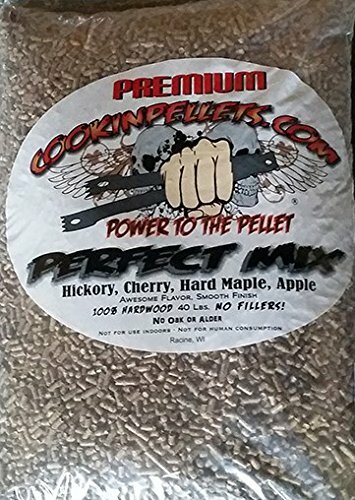 I was skeptical of pellet grills before purchasing this, thinking they might have been trendy – and while I still own and use a more traditional offset smoker, I’m now a big believer in pellet smokers. While my pellet smoker can get over 400 degrees, it’s nice to still have a traditional charcoal grill when I want to go even hotter. 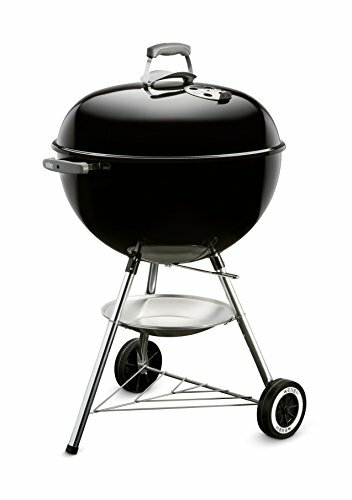 If I’m looking to get a nice sear on a steak, I’ll use this Weber Original Kettle Charcoal Grill. This model is a classic shape with a couple updated features. The ‘One-Touch’ cleaning system empties ashes and debris into the convenient ash catcher below. 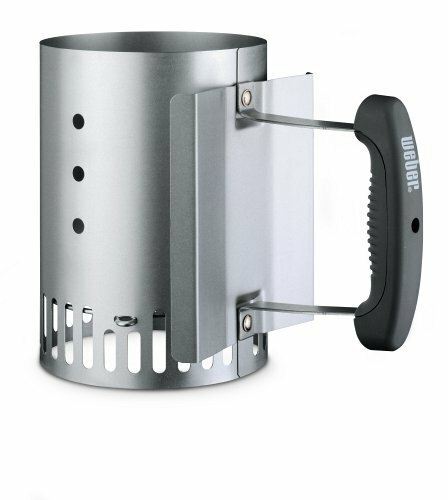 It also has adjustable dampers on the lid for controlling the temperature – and when you’re done, just close them off completely to cut off oxygen and extinguish your coals. Last but not least, the wheels make it easy to move around, and it’s not too heavy at just over 33 pounds. When I’m using my Weber grill, Fogo is my brand of choice for charcoal. This hardwood lump charcoal lights quicker and burns hotter than briquettes. It’s also nice to know that it’s made from only Oak hardwood – nothing else is added. 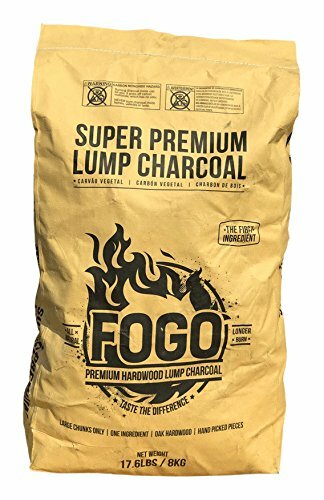 If you’re turned off by the chemical smell of charcoals you’ve purchased from supermarkets in the past, give hardwood lump charcoal a try. You can even cook meat directly on the coals! I’m generally not big on accessories, so there are just a few that I will recommend. The first is a chimney starter. If you’ve been lighting your charcoal by making a big pile at the bottom of your grill… well, you’re doing it wrong. Using a chimney starter is way faster, not to mention a lot safer. This is a relatively small starter, hence the “compact” in the product name – but I find it’s the perfect size for the majority of my cooks. Unless you’re throwing a ton of stuff on the grill, this is a great is a great option. 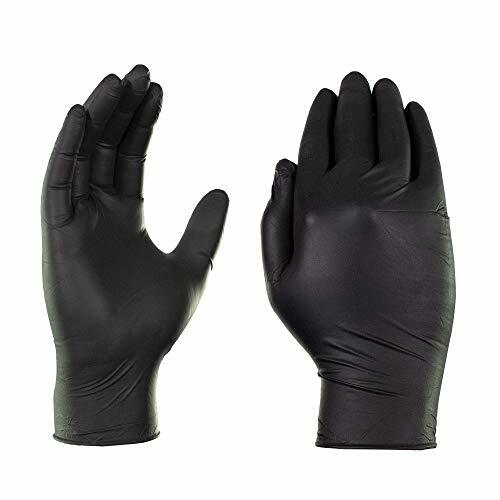 You’ve probably seen the pros wearing these black nitrile gloves, and there’s a good reason for that. Unlike bulkier gloves, they allow you to get a good feel on whatever you’re handling. You also don’t have to worry about keeping them clean – just toss them when you’re done. A single pair isn’t the best for protection from heat, so you can double-wrap them or grab some cotton gloves to wear underneath if you’re dealing with something really hot. 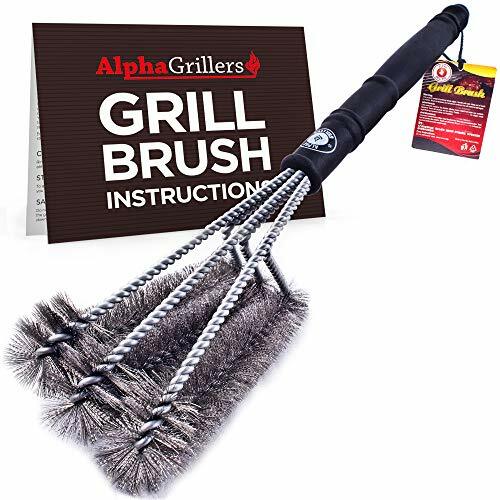 Alpha Grillers Grill Brush. Best 18″ BBQ Cleaner. Safe For All Grills. Durable & Effective. Stainless Steel Wire Bristles And Stiff Handle. A Perfect Gift For Barbecue Lovers. There isn’t a whole lot to say about this grill brush. Its large stainless steel bristles work great, and cleaning your grill is essential for its longevity and the taste of your food. Your grill or smoker probably won’t come with something like it, and so make sure to grab one. I like to use it both when I initially warm my grill up (before putting food on), and then immediately after removing my meat (so it’s still warm).